 Source:OECD, Education at a Glance 2015. 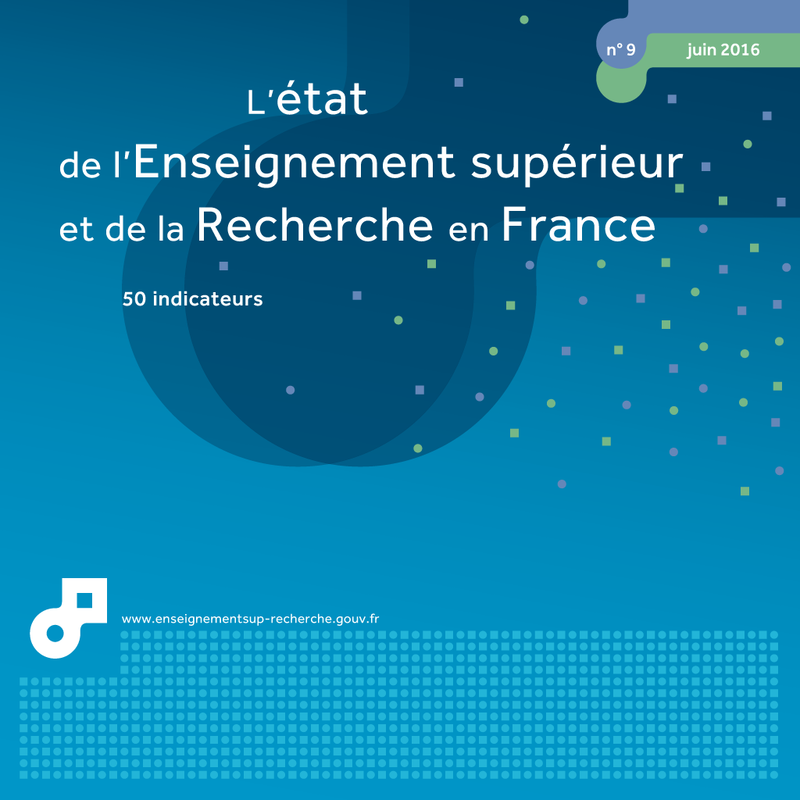 The Spending on tertiary education indicator published by the OECD differs slightly from the domestic expenditure on education indicator used in France in the satellite Education Account. The OECD indicator looks at 'education expenditure provided through education institutions'. Thus – unlike the domestic education expenditure indicator for tertiary education (EESR9_ES_01) it does not include education expenditure by households outside the institutions (books, supplies, private lessons, clothes, etc. ), even if these private expenses relating to educational goods and services and/or subsistence are subsidised by public assistance. In addition, as regards tertiary education activities, the OECD covers a wider scope of research than the Education Account, as it includes all research spending aimed at education, as calculated for the OECD's Directorate for Science, Technology and Innovation, in other words including research bodies such as the National Centre for Scientific Research (CNRS) or the National Institute for Medicine and Medical Research (INSERM). This indicator is presented in $PPP (US dollar equivalent), converted using purchasing power parity for GDP, a currency conversion rate that enables purchasing powers in the different to be expressed in a single currency unit..
- In 2012, the Gross Domestic Product was expressed as the 2010 base according to the new European accounting system, and as a result the share of GDP (%) is not comparable to the figure published in previous years. - In 2012, the United Kingdom revised the classification of expenditure on tertiary education, which had a significant impact on the share of public/private funding and the amount of education expenditure in that country. In 2012, average expenditure per student in France was close to the average of OECD countries. Since 2005, it has increased more quickly than in the marority of countries, thus catching up considerably on its shortfall. However, national expenditure on tertiary education is still slightly below the average (1.4% of GDP compared to 1.5%). The amount of expenditure on education as a percentage of Gross Domestic Product (GDP) is the indicator which provides the best overall assessment of the effort made in practical terms by all financers of national education systems (chart 02.01). With 1.4% of GDP devoted to tertiary education in 2012, France is close to the average for OECD countries (1.5%). It is ahead of other European countries such as Spain (1.2%), Germany (1.2%) or Italy (0.9%) but lags behind by the Scandinavian countries (between 1.6% and 1.8%). There are three countries whose expenditure on tertiary education is very much higher than the average: the United States (2.8%), Canada (2.5% in 2011) and South Korea (2.3%). If we compare annual expenditure per student in tertiary education in the different countries, we can see a different country hierarchy emerging compared with the previous indicator (chart 02.02). In 2012, the United States (26,560 $PPP) and the United Kingdom (24,340 $PPP) pulled ahead sharply with their high level of expenditure, followed by Sweden and Canada, which spent more than $22,000 PPP per student. France spent $15,280 $PPP per student, slightly higher than the average OECD country ($15,030 PPP). This expenditure was higher than that of Italy or Spain, but lower than that of Germany and Japan. Between 2005 and 2012, average expenditure per student increased more quickly in France than in the average OECD country (+14% compared to +11%) (chart 02.03). The increase was even higher in South Korea (+38%), Japan (+19%), Sweden (+19%) and Finland (+18%). Conversely, a drop in the level of annual expenditure per student could be seen between 2005 and 2011 in Spain (-1%) and the United States (-4%). In tertiary education in the OECD countries, the relative share of public expenditure (central government, local authorities and other public administrative bodies) is greater than private expenditure (households and other private financers such as companies), with an OECD average of 69.7% to 30.3%, (chart 02.04). In the Scandinavian countries and Belgium, expenditure on tertiary education institutions is almost all public (greater than or equal to 90%). In contrast, in South Korea, the United Kingdom, Japan, the United States and Australia, funding is predominantly private. In France, public funding is around 79.8%, well above the OECD average (+11.6 points). Canada, Denmark, United Kingdom, Germany: data not available. 1 Final funding: funding after taking into account transfers between different economic agents. Public grants to households are therefore accounted for in household expenditure and subtracted from that of public agents.